Exhibiting my Art for the first time in Oakville since my days at Sheridan College. 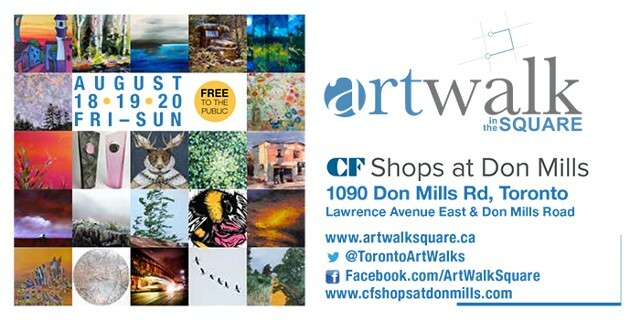 Come out and see the unveiling of 7 New Stylized Paintings that have just been completed! Please feel free to come by and view the Cayley Room at the Gallery where I will have 14 original paintings on display and for sale! Signed Limited Edition Prints will also be available for purchase. 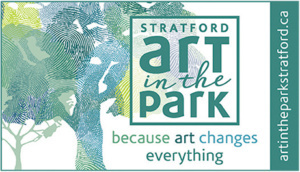 ART IN THE PARK of Stratford has presented an outdoor show & sale of fine original Canadian Art from the Studios of Artists in the Southern Ontario Region since 1968. This wonderful event takes place (weather permitting) at Lakeside Drive between Front and North Streets, every Wednesday, Saturday and Sunday. Here you will see the Artists representing the fields of fine art, painting, glass, leather, jewellery and wood working. The show is fully juried and is distinguished as the oldest continuous outdoor art show of it's kind in Canada. Starting on May 21st, 2016. Every Wednesday, Saturday, and Sunday from 10:00am to 5:00pm (weather permitting) until October 02nd, 2016. Please note: that if you are interested in coming out to meet me and see my work please notify me ahead of time as I will be participating on certain dates. Thank you. I look forward to meeting up with you in the Park! Peter has launched a small series of promotional portraits found under the heading, “Portaits” depicting everyday people presented in his unique painting style. In a homecoming of sorts Peter has comeback to his first love and that is the human face and all it’s wonderful characteristics and nuances. Bringing both distinction and depth through the primary use of hand carved wood he hopes to create one of a kind likenesses using graphite, acrylic and oil. He is always happy to meet and talk with clients at mutually decided upon locations. In the first introductory meeting he will discuss with you the size and possible compositions for the portrait along with any other preliminary details. Although a variety of reference photos would be preferred please be ready to supply what is available to you. Family and friend photos are deeply cherished, so assurances are made that they will be returned in exactly the same condition they are given. If the individual is present, some photography may be used. A second meeting could be requested in order to present a line drawing, if a painting has been commissioned. This would be the stage before the image is transferred to wood. Peter typically paints close to life-size which means the smallest size for a head-only portrait would be about 11” x 13”. Prices for acrylic & oil on wood begin at $500 for simple head-only portraits and range upwards as size and complexity increases. A second figure would add an additional 75% to the cost. Drawn portraits, in graphite on paper, begin at $300. These prices include materials and photographic costs. Travel expenses and any other incidental costs, such as packing and shipping, are extra. As Peter continues to rekindle his passion for portraiture he hopes to create moving pieces of art that are filled with spirit and joy! Please feel free to contact Peter regarding any aspect or stage of a commissioned portrait. NEWLY SIGNED LIMITED EDITION PRINTS…NOW AVAILABLE!!! PLEASE NOTE: Although this print list is current please do not hesitate to contact me with any specific requests. Also, please feel free to contact me if you would like to see a larger view of any painting found on my site. 2014 GLENHYRST BIENNIAL ART EXHIBITION!!! Peter’s painting, “Whispering Giants” has now been “juried” into this wonderful biennial event making this exhibition his 4th consecutive showing at the Gallery. Pleased to announce that “Whispering Giants” has also won the PEOPLE’S CHOICE AWARD at this year’s biennial. All are Welcome! …FREE ADMISSION!